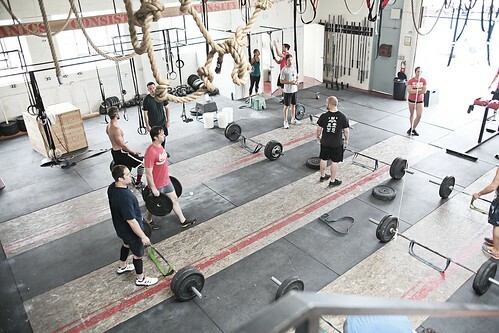 Home » WOD Blog » Bone Marrow Madness! Kinda looks like this, but with dancing. Bone marrow is very coveted in the paleo/primal community. It’s SUPER SUPER rich in fat-soluble vitamins and for some reason, Crossfitters seem to go crazy whenever it’s on the menu at a restaurant. I think because it’s one of those foods that makes you feel like a real caveman. I mean, if you think about it… it was one of the first reliable sources of animal fat that we were lucky enough to sink our teeth in to. Mmmmm, so primal. Anyway, bone marrow has a ton of cool nutrient dense properties. Check out this post by Mark’s Daily Apple for a really awesome breakdown of the benefits of bone marrow. Seriously, it’s a great read… DO IT! Below is a recipe submitted by one of PCF’s very own members, Patrick Lim. For those who are new to this dish, Bulalo is a Filipino stew, Native to the Southern Luzon region of the Philippines. It’s made rich by cooking beef shanks and beef marrow bones for hours, until much of the collagen and fat has melted into the clear broth. The seasonings may with some using only salt and black pepper while other variations call for patis, bay leaves or even garlic. But at its core, Bulalo is a simple cattleman’s stew, best made with whatever veggies are in season or in your market order. Enjoy, compliments of Chef Patrick Lim! 3. Over the next 20 to 30 min scum will float to the top. Ladle off gently and try to keep most of the oils in the pot. Eventually you will end up with a very clear broth with some slight oils on the surface.